1. First, make sure essential oils are the tool that will, in fact, be most effective for the issue you are trying to remedy. Please consider hydrosols and herbs as other options. 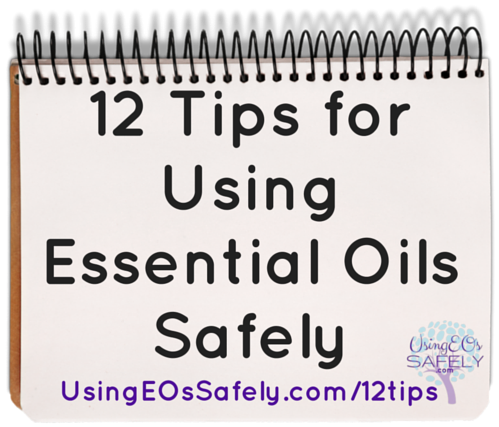 If you choose to use essential oils, consider all the safety angles before using to be sure it is right for you. Never use these essential oils. 2. Always get advice from a certified aromatherapist before ingesting essential oils. Never add essential oils to your drinking water, even if they are “high quality” or “100% pure.” Pure = very potent, effective, concentrated and has the potential to cause an adverse reaction. 3. Be sure the essential oil you are using is safe for YOU, especially if pregnant, breastfeeding, have chronic health issues, or using medications such as blood thinners. 4. Only use essential oils with your pets that are in fact safe to use with pets. 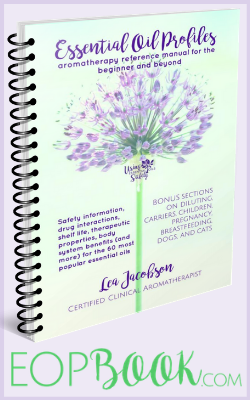 Read these posts about using essential oils with dogs and cats. 5. Consider the people who are present in the room when you diffuse. 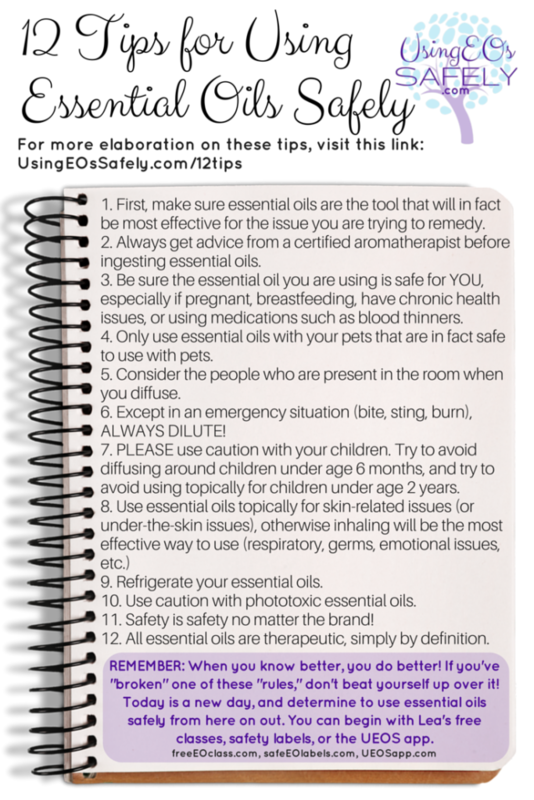 Are you using a non-child safe essential oil with kids in the room? Perhaps a personal inhaler is best instead. 6. Except in an emergency situation (bite, sting, burn), ALWAYS DILUTE! Even better – keep a pre-mixed emergency blend on hand for this reason. 7. PLEASE use caution with your children. Try to avoid diffusing around children under age 6 months, and try to avoid using topically for children under age 2 years. Their immune systems haven't fully developed yet, and they are extra sensitive. Even still, there are some essential oils which simply should NOT be used topically or all together at various ages. Educate yourself! 9. Essential oils do expire. Refrigerate them to extend shelf life. When they have oxidized, they may cause irritation and redness when used on the skin. Learn the shelf life of essential oils. 10. Use caution with phototoxic essential oils. Some can be used if you know what the safe dilution levels are. Take Lea's free class about phototoxicity here. 11. Safety is safety no matter the brand! Adverse reactions can happen with ANY brand. The more “pure” they are, the more true the safety rules are. Find out how to tell if a company is worth purchasing from. 12. All essential oils are therapeutic, simply by definition. Don't be fooled by marketing phrases and trademarks – no one has the market cornered on “the only pure” essential oils. These certifications are self-given. When you know better, you do better! If you've “broken” one of these “rules,” don't beat yourself up over it! Today is a new day, and determine to use essential oils safely from here on out. You can begin with Lea's free classes, safety labels, or the UEOS app.